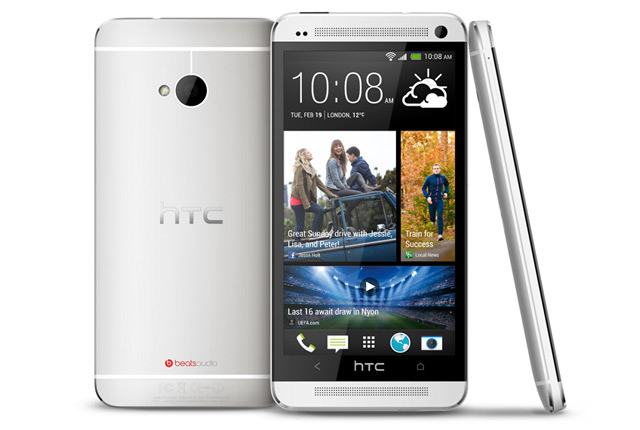 How can I turn on call waiting facility on my HTC One X android phone? Which settings need to be changed? Re: Does the android phone HTC One support call waiting facility? The HTC One X android phone does support call waiting feature. This feature should be turned On from the settings of the device. For this, first you need to first open the Menu from the home screen. There you locate the Settings option. In this chosen tab you will have one option Call. When you tap on Call you will be able to find a number of options including an option called Additional settings. In Additional settings, you will be able to find the option called Call waiting. The HTC one X phone supports call waiting facility. The call Waiting facility can be activated by navigating to "Settings" from the application drawer or by pulling down the notification bar and pressing the "Settings" icon there you will find an option as "Call Settings" select that and you will find an option as "Additional Settings" in that menu you will be able to find the option as "Call Waiting" activate that and you will have a message a "Active for voice calls". If that option is not available in settings then open dialer and press menu key there you will find the option for additional call settings. Yes, off course android phone HTC One supports call waiting facility. * Tap on additional settings. Surely this phone has the call waiting or holding options. During A call unlock the screen of your phone and click on the call waiting symbol and now you can get your calls waited. Yes, your HTC one X supports call waiting facility. - you will have different options like caller ID,call baring, call waiting,auto redial etc. - Now your call waiting got activated. yes...surely it supports the call waiting.......you have to just follow these steps...........menu........>......settings......> ........now tap on call........>.......select additional setting........>........select call waiting.......>......and then enable it ........!!!! Yes you can surely activate the Call waiting feature in your HTC mobile..
to activate the Call Waiting.. do as told..
go to Settings >> Call >> Additional Settings >> Call Waiting..
select the option to activate Call Waiting..
it will be activated . It does support call waiting feature.Almost all the phones have this feature.To activate this feature you should first visit menu page there have to select Settings as an option.Then tap to open settings.Then will see many options,but chose Call Settings.Tap to open & then drag to below there will see Other call settings as an option.Select that & will see Additional Settings.Touch to open & then will see Call Waiting.Near by that a check box,simply tap on that check box & call waiting feature will be activated. 1.Firstly the answer for your question is absolutely Yes,for that firstly go to the main menu of your phone. 3.Now tap on the option of 'Call settings' tab. 4.Now tap on the option of 'Additional settings' tab. 5.Now tap and check in for the option of 'Call waiting' tab. 3rd--chosen tab you will have one option Call. 4th--tap on Call you will be able to find a number of options including an option called Additional settings. 5th--In Additional settings, you will be able to find the option called Call waiting.